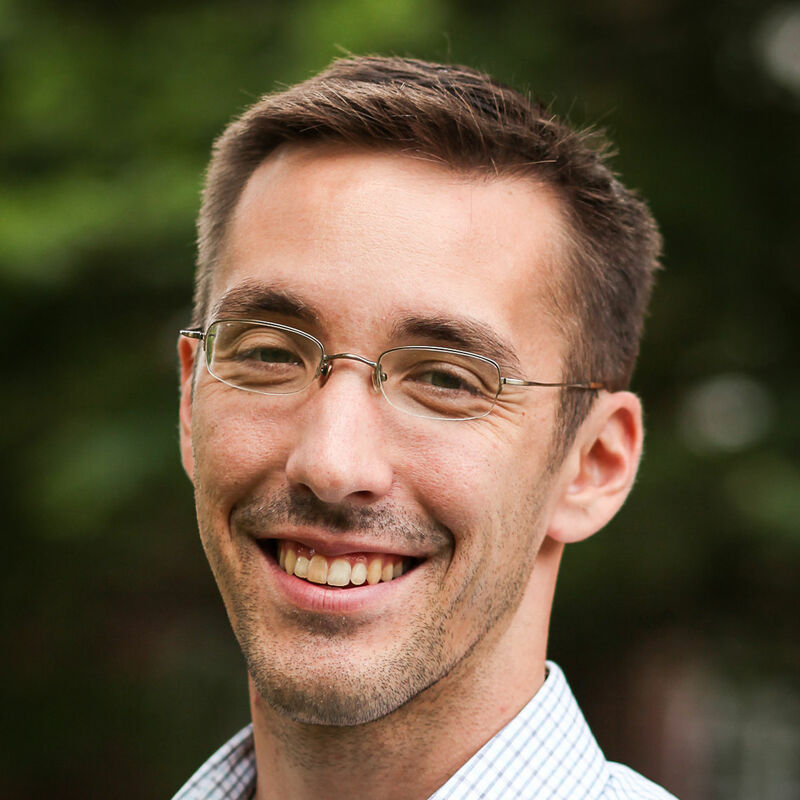 Patrick Fleming is an agricultural and environmental economist with research focused on clean water, agricultural sustainability, and the evaluation of public policy to achieve improved water quality goals. His published work includes the integration of economic models of agricultural conservation behavior with their associated water quality effects. Dr. Fleming teaches courses on environmental and natural resource economics, ecological economics, statistics, and public policy in relation to sustainability, poverty and human capability. Fleming, P., Lichtenberg, E., and Newburn, D., 2018. Evaluating impacts of agricultural cost sharing on water quality: Additionality, crowding in, and slippage. Journal of Environmental Economics and Management, 92:1-19. Fleming, P., 2017. Agricultural cost sharing and water quality in the Chesapeake Bay: Estimating indirect effects of environmental payments. American Journal of Agricultural Economics, 99(5): 1208-1227. Fleming, P., 2017. The economy of a small farm: Forming a productive household in an age of specialization. Communio: International Catholic Review, 44(3). Fleming, P., 2015. Economics, ecology, and our common home: The limits of a preference-based approach to human behavior.Communio: International Catholic Review, 42(4). "Water Quality Trading in the Presence of Existing Cost Share Programs", Lafayette College, November 2018. "Water Quality Trading in the Presence of Existing Cost Share Programs", University of Delaware, Applied Economics Seminar Series, September 2018. "Water Quality Trading in the Presence of Existing Cost Share Programs", Pennsylvania State University, Energy and Applied Economics and Policy Seminar, September 2018. “Cost Effectiveness of Legacy Sediment Stream Restoration”, presented to Pennsylvania Association of Conservation Districts Joint Annual Conference, July 2018. “Cost Effectiveness of Legacy Sediment Stream Restoration”, presented to PA Department of Environmental Protection staff, June 2018. “Cost Effectiveness of Legacy Sediment Stream Restoration”, presented to USDA Natural Resources Conservation Service staff, May 2018. “Sustainable Farming Immersion in Ecological Economics”, presented to Franklin & Marshall Leadership Council/Parent’s Council on high-impact teaching practices, October 2017. “Evaluating Impacts of Agricultural Cost Sharing on Water Quality: Additionality, Crowding In, and Slippage”, Washington and Lee University, Lexington, VA, December 2016. “Farming and the Family”, presented as part of a panel discussion at the Pontifical John Paul II Institute for Studies on Marriage and Family, February 2016. “Agricultural BMPs and Cost Sharing”, Agricultural Outlook and Policy Conference, Maryland Department of Agriculture, Annapolis, December 2014. "Water Quality Trading in the Presence of Existing Cost Share Programs", Selected Paper for Workshop on Integrated Assessment Models and the Social Cost of Water Pollution, Cornell University, Ithaca, NY, April 2019. "Water Quality Trading in the Presence of Existing Cost Share Programs", Agricultural and Applied Economics Association Annual Meeting, Washington, DC, 2018. "Water Quality Trading in the Presence of Existing Cost Share Programs", World Congress of Environmental and Resource Economists, Gothenburg, Sweden, 2018. "Water Quality Trading in the Presence of Existing Cost Share Programs", Northeast Agricultural and Resource Economics Association Annual Meeting, Philadelphia, PA, 2018. “Targeting Agricultural Cost Share Payments for Nutrient Abatement in the Chesapeake Bay Watershed”, Northeast Agricultural and Resource Economics Association Annual Conference, Washington, DC, June 2017. “Targeting Agricultural Cost Share Payments for Nutrient Abatement in the Chesapeake Bay Watershed”, Association of Environmental and Resource Economists Annual Conference, Pittsburgh, PA, May 2017. “Agricultural nonpoint source pollution: Incorporating behavioral response in cost sharing policy simulations”, Association of Environmental and Resource Economists Annual Conference, Breckenridge, CO, June 2016. “Agricultural cost sharing and conservation practices for nutrient reduction in the Chesapeake Bay watershed,” Agricultural and Applied Economics Association Annual Meeting, San Francisco, July 2015. “Agricultural cost sharing and water quality in the Chesapeake Bay: Estimating substitution effects among conservation practices,” Association of Environmental and Resource Economists Annual Conference, San Diego, June 2015. “Agricultural cost sharing and water quality in the Chesapeake Bay: Accounting for indirect effects of environmental payments,” Heartland Environmental and Resource Economics Workshop, University of Illinois at Urbana-Champaign, November 2014. “Agricultural cost sharing and water quality in the Chesapeake Bay: Accounting for indirect effects of environmental payments” Agricultural and Applied Economics Association Annual Meeting, Minneapolis, July 2014.